A trip to South Africa keeps its promise of sheer delight with its wide open spaces, its wealth of wildlife, its game parks of outstanding natural beauty, its coastal paradise, its breathtaking landscapes, its mountainous regions with unlimited hiking possibilities … and its incredible ethnic diversity which is source of an outstanding artistic vitality. We urge you to plunge headfirst into the South Africa of today – a thriving young democracy that continues to heal its wounds of past oppressions whilst striving forward to consolidate its position in the world today. Get intimate with the country that NELSON MANDELA left as our global heritage. The spectrum of options from which to compose your visit is large, more so than in any other country in Africa and the excellent infrastructure only adds to the already extensive list of excellent reasons for travelers to make South Africa their destination of choice. South Africa, “Rainbow Nation”, as defined by Archbishop Desmond Tutu, will surely astound you. Creative Cape Town – World Design Capital 2014! 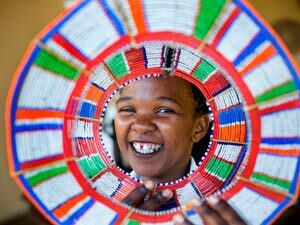 Not only is South Africa celebrating its 20 year anniversary of Democracy, but South Africans have another good reason to celebrate: Cape Town has been nominated “World Design Capital 2014”. This is an opportunity to highlight all urban issues left by decades of apartheid – and to show the world how architects, planners and communities are working to erase the historical gaps and encourage social inclusion with design. Throughout 2014 there are hundreds of projects and activities enabling us to explore this innovative creative centre. Our address book is full of contacts related to this major event. Ask us! 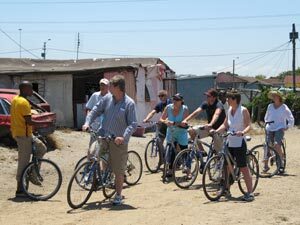 Discover the most famous and popular sites of Soweto by bicycle! During the tour you’ll visit the Apartheid Museum and cycle past the former home of Nelson Mandela and the residence of Archbishop Desmond Tutu. You’ll learn to “click” like a Xhosa and visit a “Sangoma” (traditional healer and clairvoyant) to learn what your future holds when she throws the bones. This unique township discovery ends in a “shebeen” (clandestine bar) where you’ll get to taste local beer whilst dancing to the beat of Kwaito (a style of music that originated around Soweto in the early 1990s). Have you ever heard of Snoek? Injeera? Koeksusters? Daaltjies? Ulusu? Umngqusho? Nyama? 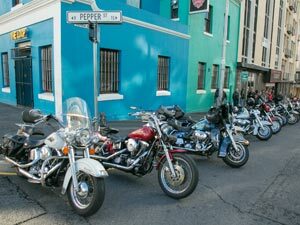 Explore the city of Cape Town through its food! With the incredible diversity of its inhabitants, you can only imagine the huge choice and variety of food here at the tip of Africa. The history of its introduction from the east and the north is as enthralling as the men and women who cook it today. 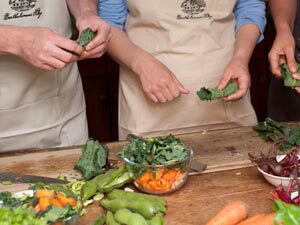 Firstly, you’ll go shopping at the local market with your guide to buy provisions and then you’ll be invited to participate in a cooking class. Enjoy the exotic flavors of Malay and Xhosa cuisine as you sit around the table with your hosts. From the very first strokes of your paddle you’ll be dazzled by the sublime coastline that stretches between Three Anchor Bay and the white beaches of Clifton. 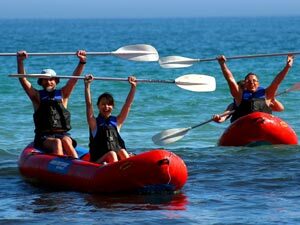 Kayak safaris depart either early morning or late afternoon so as to make the most of the beautiful light as the sunrays sparkle on the clear waters of the bay. As you glide along quietly you’ll see lots of marine birds, curious seals and playful dolphin. Between June and December you may even be surprised by a spectacular whale tail a few hundred meters away. Meeting these gentle giants out there is a once in-a-lifetime experience! Whether you’re a confirmed rider or a beginner, amateurs of the great outdoors will enjoy horse riding through the breathtaking scenery of the wine route. 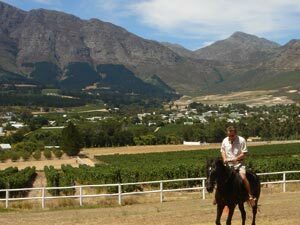 A ride through the vineyards is punctuated by wine tastings at several wineries scattered along the Franschhoek valley. Don’t miss the “Pinotage”, South Africa’s signature variety! When you’ve worked up an appetite, stop off at a typical “Cape Dutch” homestead for a picnic lunch, surrounded by vineyards, rivers and stunning mountain views. 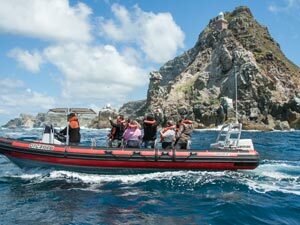 With the cold spray of the Atlantic Ocean in your face and hair flying in the wind and you’ll head out to Duiker Island, home to a large colony of seals and a favorite spot of the great white shark. Your skipper will tell you stories of sea monsters, ghost ships, shipwrecks and other historical details that make the storms and treacherous coastline of the Cape so infamous amongst sailors. On the way back you’ll motor along the ridge under Chapman’s Peak with Sentinel Mountain as a majestic backdrop. Classy Harley Davidsons & Vintage Cars! Play movie stars on Africa’s “Cote d’Azure” in a vintage car, a sidecar or on a Harley Davidson. 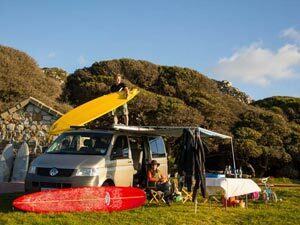 You’ll follow the spectacular peninsula to the tip of the Cape of Good Hope Nature Reserve before turning inland towards the wine route. From there you’ll cross the lush Franschhoek valley to come out at the other end by a sublime road that winds its way through the vineyards. A day in another era! 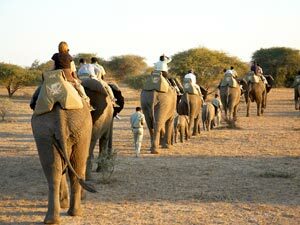 You won’t be ready to forget this experience… How about exploring the bush in the Kruger National Park from a wicker basket perched atop an African elephant? From high up there you’ll reach the treetops where you may spot birds’ nests or come face to face with a giraffe! As this gigantic pachyderm moves silently through the savannah you’ll encounter other animals along your way: zebras, antelope, monkeys, even rhinos perhaps…. Just you, jumbo and the sound of the wild! It may be a lifelong dream, a personal challenge or a dare but one thing is for sure….diving with this mythical creature – the great white shark, leaves 0no one indifferent. 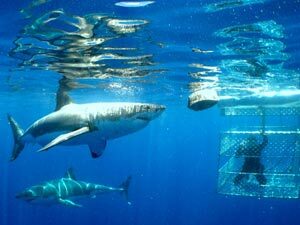 South Africa is one of the best places in the world for diving with them and around Cape Town it’s virtually guaranteed that you’ll have a shark encounter. Having anchored off Dyer Island or Geyser Rock, (a favorite spot for sharks to hunt seals), the metal cage is lowered down into the sea so that you can observe the shark activity. Adrenaline and thrills… or your money back! 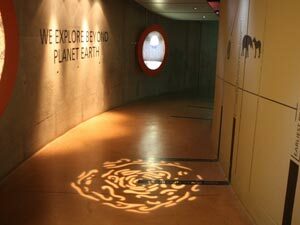 The Cradle of Humankind (50kms northwest of Johannesburg) is listed as a World Heritage site by UNESCO. Today, there’s a high-tech center that traces the path of evolution, from the most distant past to the future. The excavation site is the world’s richest in hominid fossils where a wealth of information about our ancestors and the origins of our species lies trapped in a matrix of dolomite, centuries old. You’ll meet many fascinating characters that have been excavated from this site. Amongst them, the noble old lady, “Mrs. Ples” (2 million year old scull), and “Little Foot”, an almost complete skeleton of 3 million years. Lose yourself in the effervescence of the bustling streets. Let yourself get carried away by the drumbeat and rhythm of jazz and gumboot dancing. Music is so closely related to everyday life in Africa that by learning about traditional music you learn about the people and the continent itself. For example, “gumboot dancing” … which was started by migrant workers on the gold mines and “jazz”, which has its roots in American radio, that the navy brought from across the ocean. We’ll take you on a fun tour to meet our favorite local musicians and to explore the origins of their instruments and their sounds. Part of the experience includes djembe / marimba / uhadi lessons and dancing. Let the party begin! Paragliding is a great way to get your bearings when you’re new in Cape Town. A tandem leap off the steep slopes of Lion’s Head Mountain or Signal Hill will give you a bird’s eye view of the city and its natural wonders: the promenade that skirts the beautiful seashore, Robben Island off in the distance and the 12 Apostles Mountains in the background. 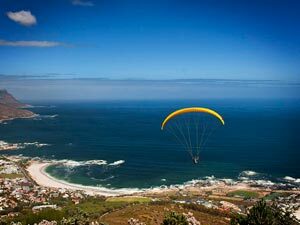 Prepare for a soft landing near the beaches of Clifton and Camp’s Bay. World renowned Jeffrey’s Bay, No.2 spot on the list of “Best surf spots in the world,” hosts the Billabong Pro ASP World Tour every year in July. Spectators and professional surfers from around the globe attend the event, swim in the warm sea…. and enjoy beach parties and gigantic seafood platters which are equally famous in this part of the woods! Beware of the speed limit! 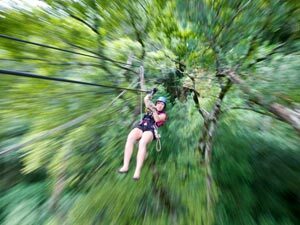 It’s here at Sun City that you’ll find the longest and the fastest zip line in the entire world – 280m high and 2km long with a speed that can reach up to 150 km / h! Hang on! Discover the flourishing art scene in Johannesburg by visiting the numerous galleries and artists’ studios (In particular, the “New Public Art Program” and “70 Juta” (Jo’burg). Newtown Cultural Precinct in downtown Johannesburg has a distinctly cosmopolitan atmosphere. In its cafes, bars, trendy clubs and restaurants, dance studios and concert halls, we find the same avant-garde attitude that made this area the heart of theatre, music and poetry protesting against apartheid. Perhaps because of its turbulent political past, the Newtown Cultural Precinct remains resolutely blind to colour differences. 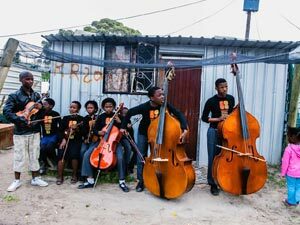 Since the mid-20th century, musicians, artists, poets and dancers of all races gathered here, to forget apartheid life through creative expression. This contempt for rules and conventions still thrills Newtown. Few places embrace such cultural diversity as this neighbourhood. Here, Hindu devotees light up the sky with impressive fireworks during Diwali celebrations, dancing dragons breathe fire during the Chinese New Year, the gay community sway their hips over Nelson Mandela Bridge during Gay Pride and jazz fans gather en masse for the annual ‘Joy of Jazz’ festival. Newtown Cultural Precinct is packed with museums, art galleries and craft workshops. Amongst the most famous places are MuseuMAfricA, the Market Theatre and the famous jazz club, Kippies. Enjoy browsing through alternative bookstores and perhaps purchase a work of art or some locally made handcrafts from one of the many galleries or artist’s studios in the area. The Maboneng Precinct is not to be missed either as one of the most vibrant destinations in Johannesburg with a diverse range of entertainment offerings and cultural experiences. Independent retailers stocking a variety of local design and craft make Maboneng a showcase of the best in fashion, art and furniture. 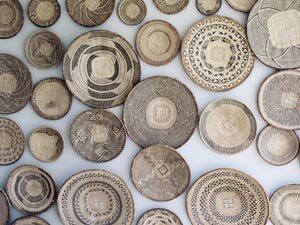 Just around the corner African decorative art has entered Johannesburg museums thanks to the Museum of African Design (MOAD). In all, some 200 works by 100 artists are exhibited in an old converted industrial warehouse…sculptures, furniture and miscellaneous objects.